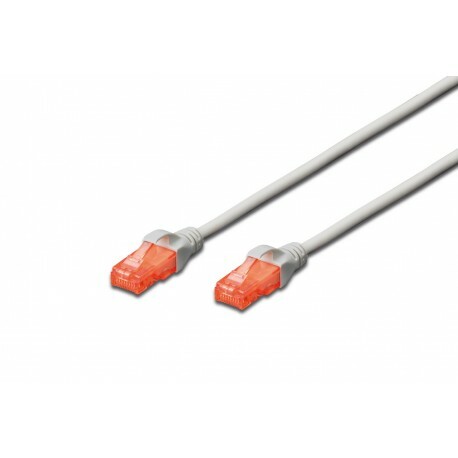 The DIGITUS® Category 6 Class E patch cables are manufactured and tested to the ISO/IEC 11801 and DIN EN 50173 Category 6 specifications. They will guarantee the installed cabling system is compliant with the ISO & EN channel specification requirements and will provide optimum performance levels of DIGITUS® Category 6 cabling. The performance is tested up to 250 MHz inclusive performance characteristics such as near end cross talk (“NEXT”). 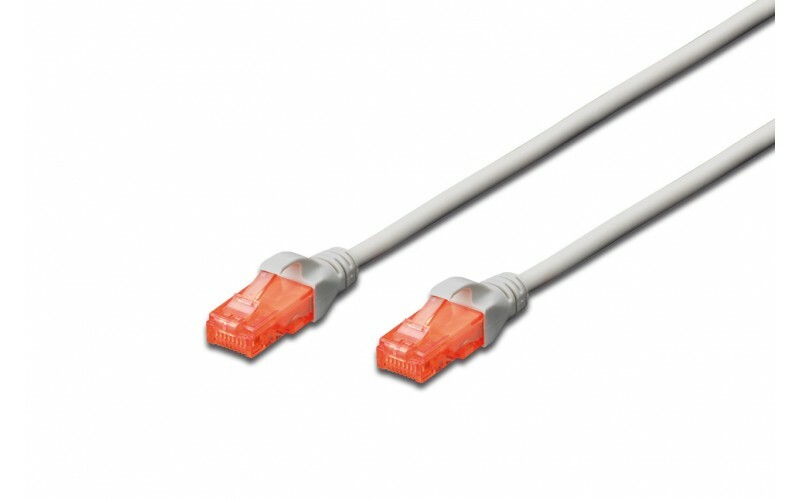 DIGITUS® patch cables are designed and produced to fulfill the highest requirements of various application areas in full volume. Each cable is fitted with a molded boot which comes with kink protection and strain relief. Furthermore the boot is equipped with a latch protection that prevents the latching lever against breaking. You can easily identify the Category 6, because of the transparent red colored connector.